This year has flown by-Thanksgiving is just a few days away! Don’t let the holidays sneak up on you too, shop early! We’ve got an AWESOME site-wide Thanksgiving sale- only available at Swimways.com! Get anything on our site for 20% off when you place an order between 11/19/18 – 11/30/18 AND use promo code THANKFUL20! We’ve got something for everyone at Swimways! Here are just a couple ideas on what to get for everyone in your family this holiday season! 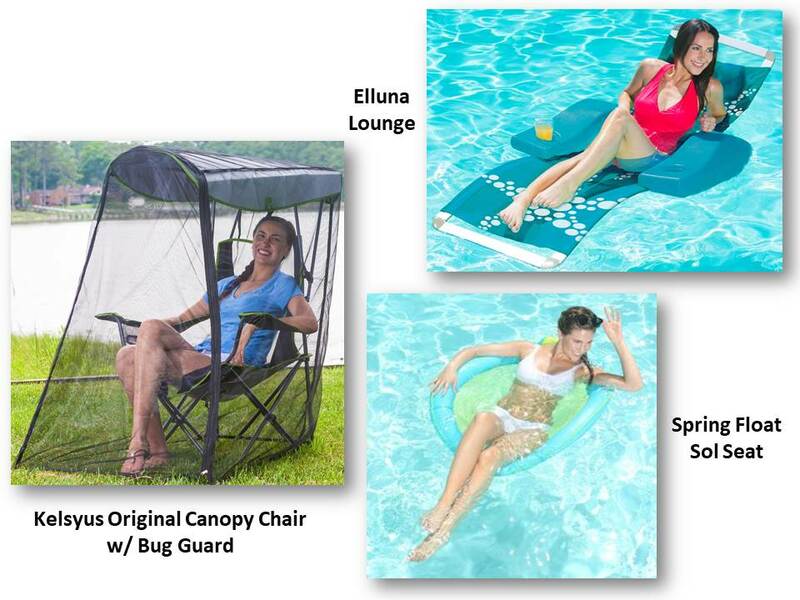 The Spring Float Sol Seat, Elluna Lounge and Kelsyus Original Canopy Chair with Bug Guard are all wonderful gifts to give your wife, sister, grown daughter, aunt, mom, etc. They’ll be so comfortable and relaxed in any of these great products floating the day away or enjoying the outdoors without getting tons of mosquito bites! Get your husband, brother, son, or uncle any of these luxurious outdoor items! Spring Float Pro-Chip Spring Golf is a great gift for golf lovers, the Kelsyus Original Canopy Chair with Ottoman is nice for the guy who likes to tailgate or go to outdoor sporting events/concerts and the Kelsyus Floating Lounger is great for someone who loves to relax in the water! Give your kids, grandchildren, or nieces/nephews the gift of fun this year with any of these outdoor items! The Aerobie Skylighter Disc lights up so it can be played after it gets dark outside, the Kelsyus Kids Canopy Chair can make you and your children’s lives easier at concerts and soccer games! Kids can enjoy the Coop Sports Hydro Football in and out of the water! They’ll also have a blast floating around the pool on the Marvel Oversized Inflatable Shield, Star Wars Millennium Falcon Ride-On, or Eaten Alive pool floats! We’ve even got floats for kids ages 3 months – apx 9 months! Your kids can enjoy their first experiences in the water in the Infant Baby Spring Float with Sun Canopy! 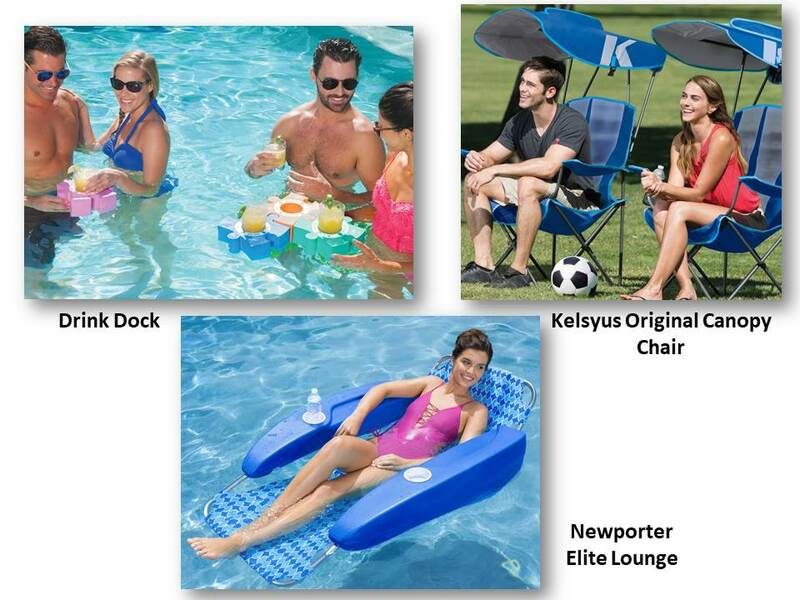 Your parents can come to your kid’s soccer games and comfortably sit on the sidelines in the Kelsyus Original Canopy Chair, relax and enjoy retirement in the pool on the Newporter Elite Lounge, or stay hydrated in the pool with friends and family with the Drink Dock! We love pets here at Swimways, so you can bet we didn’t forget them! 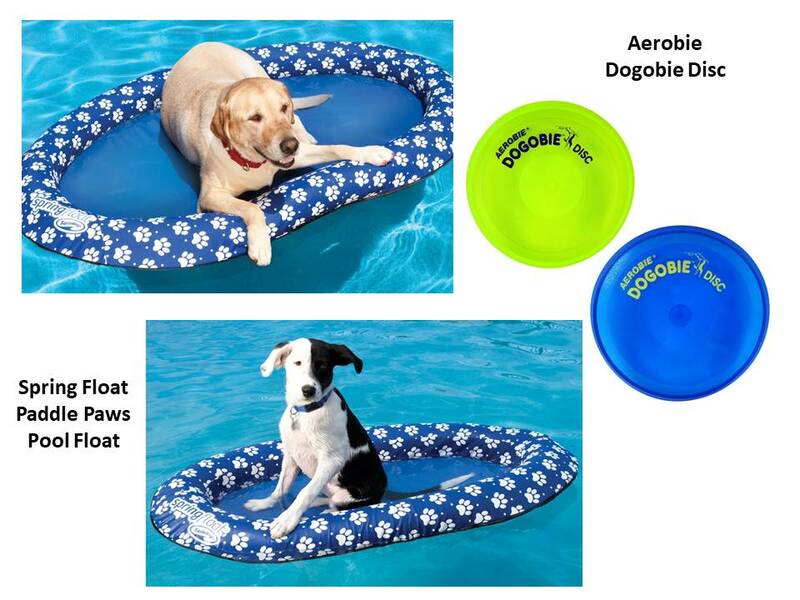 Your dog can float around the pool with you on their very own Spring Float Paddle Paws pool float (small or large) or get some much needed exercise running after the Aerobie Dogobie disc!